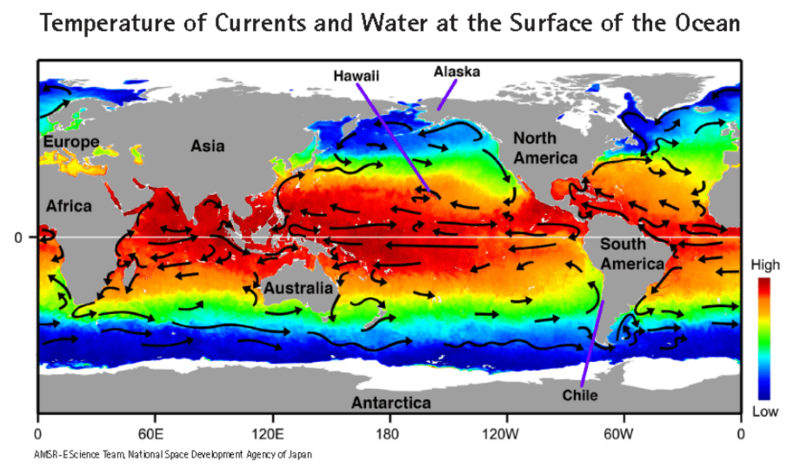 How can you support student use of evidence in a scientific argument? Teachers will help students identify high quality evidence. Teachers will support student use of evidence by providing feedback on evidence sufficiency, relevance, and source. Teachers will evaluate the quality of student evidence in argument. *​Extension - Using the Evidence Rubric! Share a sample of student writing. What evidence did students use? How did students use reasoning? What challenges did you encounter in reviewing your students’ arguments? Watch a video of a student reading her argument. Clip 4 from Learning Design Group on Vimeo. What evidence did this student use in her argument? What feedback would you provide to her to improve her argument? The goal of this session is to support student use of evidence by focusing on providing feedback on three critical areas: sufficiency, relevance, and source. The evidence rubric helps you identify strengths and weaknesses in student use of evidence. Note: There are questions at the top of each category in the rubric. This can guide your focus as a teacher, but can also support students in providing feedback to each other on their evidence. This is an argument that took place during a pair discussion about where hurricanes are likely to occur. How would you rate this student's argument using the Evidence Rubric? What feedback would you provide? Work in small groups to evaluate written student arguments using the rubric. 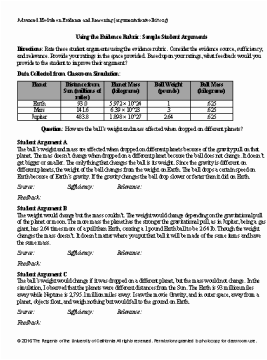 These 3 student arguments were written following an in class investigation in which students collected data using a simulation showing what a 1 lb ball would weigh if dropped on different planets. The question students answered was: How are the ball’s weight and mass affected when dropped on different planets? What strengths and weaknesses does the rubric help you identity in student use of evidence? How does this help you provide feedback to students? What are the limitations of using a rubric like this? Watch an excerpt of the video below, which shows students giving each other feedback (5:55-6:26). What are the strengths and weaknesses of the feedback students provide? How could this rubric be used as a tool to improve student feedback on evidence? What are the other ways you could support students in giving each other productive feedback? Common challenges students have with evidence are: relevance, sufficiency, and source. A rubric is a helpful tool for supporting student use of evidence. Students can receive feedback on their use of evidence by both their teacher and peers using the rubric. *​Extension- Using the Evidence Rubric! Be prepared to share your experiences using the rubric, including how the rubric was helpful for your instruction and what was challenging.